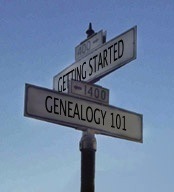 A new year means a new opportunity to finally get started on the family history you’ve been meaning to do. In this class we will go over the basic rules of family history research and briefly discuss various resources you can access and how. Some of these resources are Web-based so basic computer skills are required. We will also practice filling out a Pedigree Chart and Family Group worksheet, the building blocks of family research. Please call (706) 826-1511 for details.